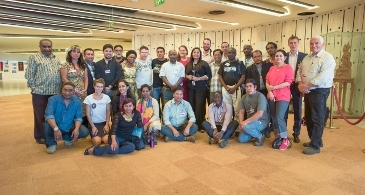 This is a forum for discussions among Indigenous Peoples held once a year in Geneva (Switzerland). The Expert Mechanism on the Rights of Indigenous Peoples (EMRIP) is a subsidiary body of the United Nations' Human Rights Council (HRC). The HRC was established in 2006 by the UN General Assembly and is the main UN intergovernmental body dealing with human rights. 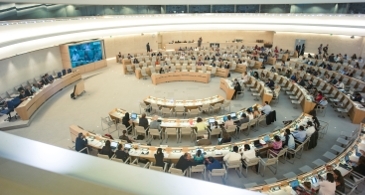 The Human Rights Council created EMRIP in 2007 in HRC resolution 6/36. 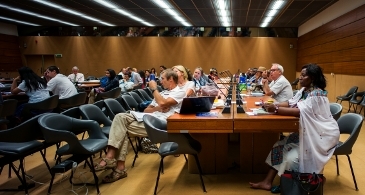 The EMRIP meets once a year for five days. • Assist Member States, upon request, in achieving the ends of the Declaration through the promotion, protection and fulfilment of the rights of indigenous peoples. EMRIP’s new methods of work with respect to country engagement activities are set out on the section : “EMRIP working methodologies”. The Expert Mechanism is one of three UN bodies that is mandated to deal specifically with Indigenous Peoples’ issues. The others are the United Nations Permanent Forum on Indigenous Issues and the Special Rapporteur on the Rights of Indigenous Peoples. For more information, visit: http://bit.ly/EMRIP2018. 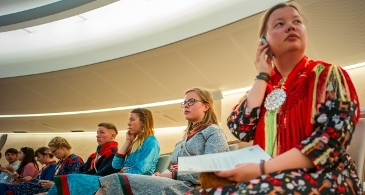 EMRIP is composed of 7 independent experts, one from each of the seven indigenous sociocultural regions, who are named for a period of three years, renewable once. The regions are: Africa; Asia; Central and South America and the Caribbean; the Arctic; Central and Eastern Europe, Russian Federation, Central Asia and Transcaucasia; North America; and the Pacific. 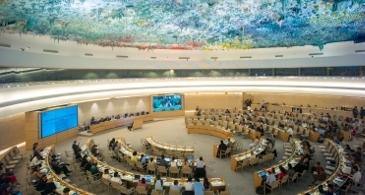 The Chair of the EMRIP is nominated annually at the start of the session. If you wish to get in touch with them, contact the EMRIP Secretariat at:expertmechanism(at)ohchr.org.